New Delhi, India – On April 6, speaking at the University of Delhi, India’s Finance Minister Arun Jaitley waxed eloquent about how the world’s most-populous democracy would become the third-largest economy on the planet by 2030 after the United States and China. By then, the size of India‘s economy would have more than trebled to $10 trillion from around $2.9 trillion at present, he said. What was noteworthy was that Jaitley’s speech hardly dwelt on the performance of the government headed by Prime Minister Narendra Modi over the last five years, as India votes in the 17th general elections between April 11 and May 19. Votes will be counted on May 23 to determine whether the right-wing Hindu nationalist Bharatiya Janata Party (BJP) led by Modi would be elected for a second term of five years. The day after Jaitley’s speech, the BJP released its election manifesto promising huge investments in India’s creaking infrastructure (roads, railways, bridges and airports), the expansion of an income-support scheme for farmers, a welfare board for traders, simplifying the goods and services (GST) scheme, lowering income taxes, setting up medical institutes and technology centres for small enterprises. A few days earlier, the largest party in the opposition, the Indian National Congress had released its manifesto, the highlight of which was a grandiose scheme for income support for the poorest one-fifth of families in the country. The BJP, which had promised between 10 million and 20 million jobs annually before the 2014 elections, has played down job creation. Even spokespersons of the BJP acknowledge that much remains to be done to provide jobs. “We have to work harder to create job opportunities for the youth. We have so far paid attention to investments by government bodies and we now need to boost private investments and create consumer demand by increasing the liquidity in the system,” Gopal Agarwal, the party’s national spokesman on economic issues, said. Of late, there has been considerable controversy about data on jobs in India while the government has been accused of suppressing job data. Leaked data indicate that the unemployment rate in the country at 6.1 percent is the highest in 45 years and that an estimated 20 million young men had dropped out of the job market over the last five years. This is a particularly important issue in a country where half its population is below the age of 26. Agarwal nevertheless believes that the Modi government should be credited with major achievements on the economic front. “In 2014, when we came to power, the Indian economy was in bad shape – inflation was at double digits, the fiscal deficit was at 4.5 percent of the gross domestic product (GDP), indicators of the ease of doing business were relatively low, the country’s foreign exchange reserves were not very comfortable and we were not getting much foreign direct investments. On all these counts, we are in a much better shape today,” he told Al Jazeera. Some economists concede that one of the positive features of the Indian economy in the last five years has been the low rate of inflation. But this, they argue, is largely because the country has benefitted from low international crude oil prices. India is dependent on imported crude oil for more than 80 percent of its requirements. Oil imports comprise around a third of the country’s total import bill thus impacting the country’s external balance of payments as well as the rate of inflation. 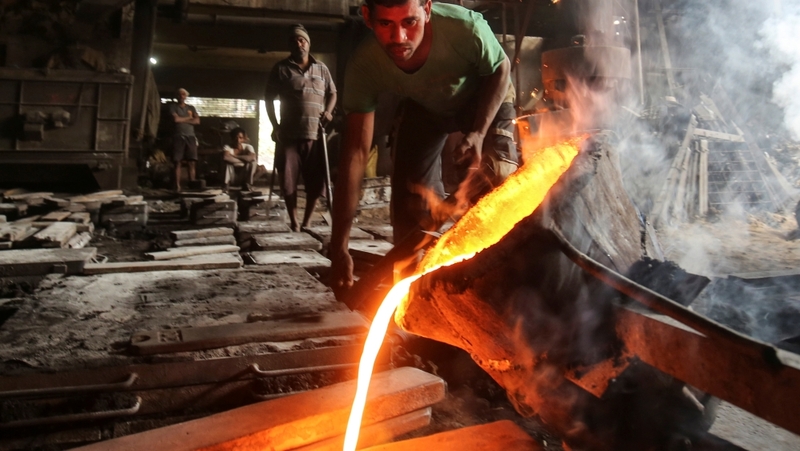 “The performance of the government on the economic front has been pretty bad if you consider the fact that over the last five years, the country has benefitted from a massive windfall on account of low crude oil prices to the extent of not less than two percent of our GDP each year,” said Abhijit Sen, a prominent economist and former member of the now-defunct Planning Commission. He believes that low oil prices kept inflation under check, the external balance of payments under control and ensured that the quality of government finances – including the fiscal deficits of the state and central governments – did not deteriorate. “Under the circumstances, the rate of growth of GDP was creditable though not as good as the government is claiming,” he said. As world crude oil prices have firmed up over the last year or so, the inflation rate has inched up. High real rates of interest have squeezed corporate profits and suppressed consumer demand as well – sales of passenger cars and two-wheelers are down. After coming to power, the Modi government launched several welfare schemes, including a programme to give free cooking gas cylinders to women in poor households and opening bank accounts to allow the transfer government subsidies directly to the underprivileged. An insolvency and bankruptcy code was established to resolve problems related to firms with unpaid debts. But the opposition has accused the Modi government of not doing enough to prevent high-profile businessmen from fleeing India after defaulting billions of dollars of bank loans. The biggest “reform” measure of the government was the movement towards a unified Goods and Services Tax (GST) in July 2017 that subsumed India’s complicated and messy indirect taxes regime spread across 29 states and seven federally-administered regions. The rolling out of the GST regime, touted by the government as a classic instance of “fiscal federalism,” however, has been stymied by poor planning and implementation besides an erratic internet infrastructure. Arguably the most important reason why the beneficial impact of the rollout of the GST was not felt was on account of the unprecedented act of banning 86 percent of the currency in circulation in 2016. Modi claimed that the shock decision would constrain the use of illegal money or black money – or the money that is not accounted for in government records – in the economy and check the use of fake currency notes by “terrorists”. Later, the government claimed that demonetisation, as the note ban was called, would usher in a “cashless” or “less-cash” society. Former Prime Minister Manmohan Singh described the move as an act of “organised loot and legalised plunder”. 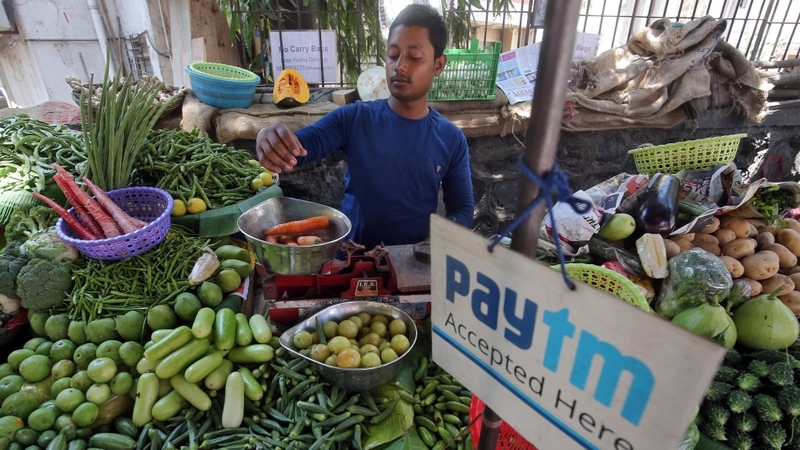 Demonetisation “destroyed the country’s job-creating potential and badly hurt those employed in the informal sector that accounts for over 90 percent of the country’s economy,” Sen, the economist, said. Critics said that the credibility of the economic data put out has plummeted as the government was accused of trying to manipulate it. Economists like R Nagaraj, professor at the Indira Gandhi Institute of Development Research Mumbai claim that instead of a GDP growth of eight percent and 8.2 percent in fiscal years (ending 31 March) 2017 and 2018 respectively, the “actual” numbers could be two percentage points lower. Even if one accepts the figures put out by the government Central Statistics Office, the estimated rate of growth of GDP in fiscal year 2019 has been brought down from 7.2 percent to seven percent, the lowest in five years. “Almost all data other than the GDP growth figures, including other items in the National Accounts Statistics, shows the economy has been doing poorly in the last five years,” said Surajit Mazumdar, an economist and professor at Delhi’s Jawaharlal Nehru University. “Agriculture, manufacturing and construction, investment, foreign trade, bank credit, wages, government revenues – trends in all of these show clear signs of an extremely sluggish economy incapable of creating employment opportunities that so many desperately need,” he said. Mazumdar contends that “this is not surprising given the fact that the Modi government has consistently emphasised fiscal consolidation and reduction of the deficit – which is more about the state withdrawing from the economy rather than doing something for the economy”. One of the reasons for the sluggish rate of growth of the economy has been the poor performance of the agricultural sector. Both the BJP and the Congress party have promised to implement schemes to provide a “minimum basic income” for farming families with small land holdings and low incomes. What is acknowledged by all is that farming in the country has become extremely risky and provides poor returns. Close to one out of two Indians depend on agriculture for their livelihood. “Our performance on the agriculture front has also been pretty dismal with the rate of growth of crop output less than one percent per annum over the last five years,” Sen pointed out. 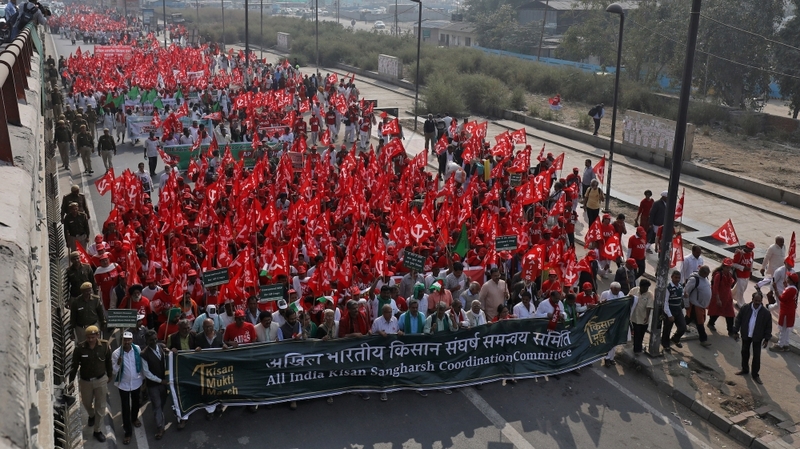 Hundreds of thousands of farmers have marched on the streets of the national capital, Delhi and the country’s commercial capital, Mumbai to draw attention to their plight. Curiously, even as Modi has been emphasising nationalism and the country’s unity in campaign speeches, his political opponents – comprising a motley combination of regional political outfits and India’s “grand old party,” the Congress, which has become weaker than ever before have emphasised economic issues. The opposition has been hammering the incumbent’s government for its failure to create jobs for the youth, make farming less risky, disrupting the economy by demonetisation, allowing bad loans of banks to balloon and increasing the gap between the rich and the poor. Even if the number of income tax assessments went up after demonetisation, many economists believe the big-bang decision hurt the weakest sections of India’s population the most – women and children dependent on them, senior citizens, farmers, daily-wage labourers and small traders and shopkeepers. The women, both 19, were on vacation when they were killed in June 1973.